One 18 karat yellow gold ring. One amethyst (9.81 carats). 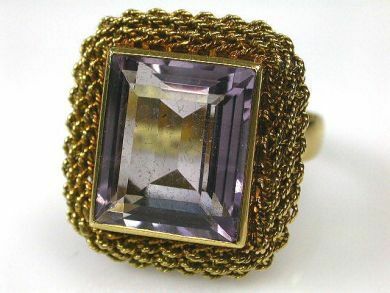 The amethyst is set within a rope link mesh frame.